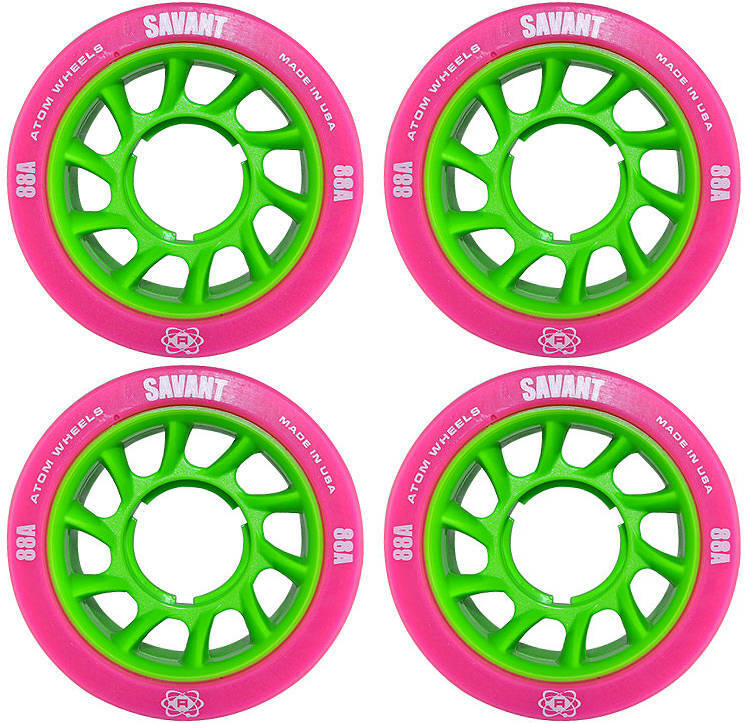 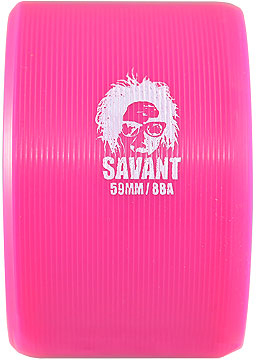 The Savant combines the Boom/Juke urethane with an oversized core with a molded lip. 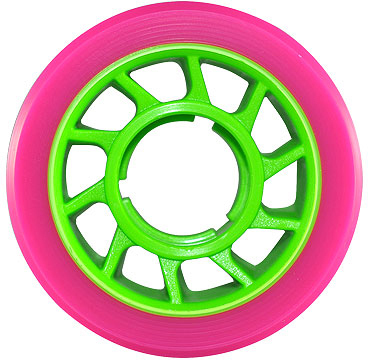 This makes the wheels very light weight and increases the roll speed of the wheel. 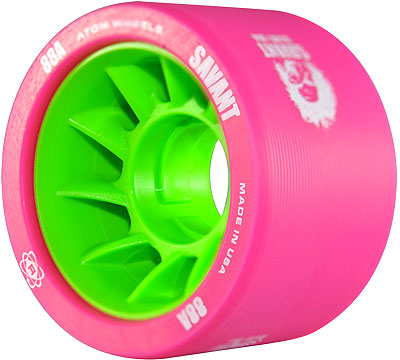 The molded lip helps provide better control and grip, needed along with the increased speed. These wheels are only intended for indoor use on plastic, wood and slick sports courts.